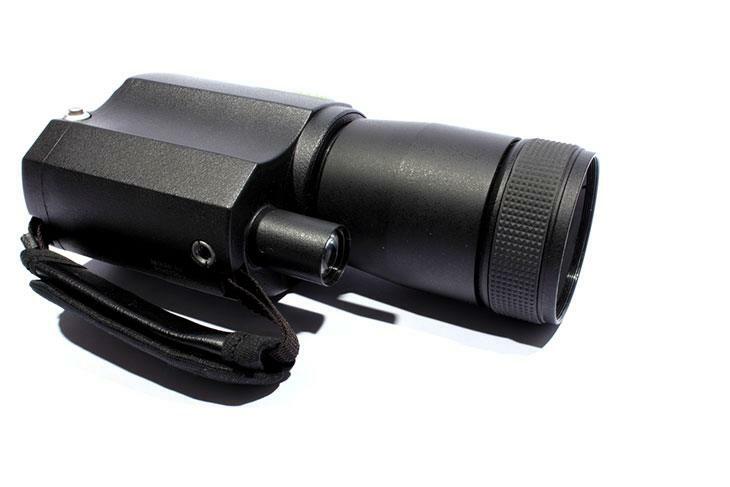 Night vision scopes are frequently used for night hunting by professional hunters as well as casual hunting enthusiasts. 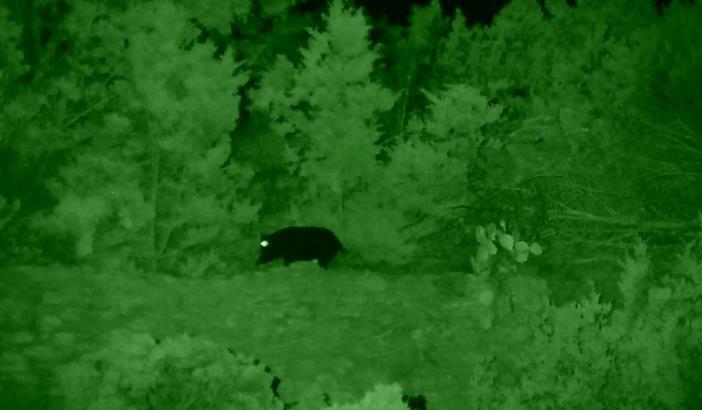 However, if you haven’t used a night vision scope before, chances are you will have some difficulty in adjusting it accurately for a night hunting excursion. The key problem in adjusting a night vision scope is to sight it in perfectly. This means that your scope should be in sync with your target and shooting range so that you can easily target and hit an object you are seeing in the night vision scope. However, as you will see below, this is easier said than done. The main obstacle to this is that a night vision scope usually can’t be used during day. This is because even a small amount of daylight may significantly harm the lens of the scope. As a result, you simply don’t have the option of sighting it in during the day, which would’ve made the entire process quite simple and easy. The problem with sighting a night vision scope during the night is that you can’t clearly enough whether you are hitting a target or not due to low-light conditions. This may be rectified through a creative solution but in general, sighting in a night vision scope during night is a hard yet necessary task that most night vision scope users must go through. Here are the necessary steps you should follow when sighting in a night vision scope. We are fairly sure that following these steps, you will be successful in the task. If you’ve bought a new night vision scope, it would have arrived with a user manual. In the user manual, the manufacturer of a night vision scope elaborately explains various features and functions of the scope. Most manufacturers also choose this space to share a few tips or methods on how best to sight in their night vision scopes. Naturally, the manufacturers are the best guy in this regard since they are the ones who have created the scope. If your manufacturer hasn’t offered any tips in the manual on how to sight in the night vision scope you are using, it is time to look up online. 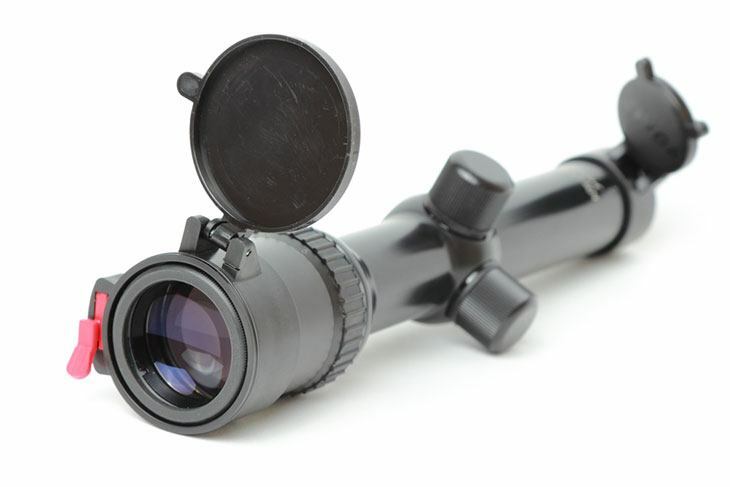 Most manufacturers have some helpful information on how to sight their scopes on their official websites or related user forums. If such information is available online regarding your scope, you will be able to find it easily and follow it to sight in the scope. If not, read on. The next thing you can do is check out the lens cap of your night vision scope. Although most night vision scope feature a design which will simply permit no daylight to enter the lens cap, some night vision scopes come with a tiny pinhole which may permit very little light. 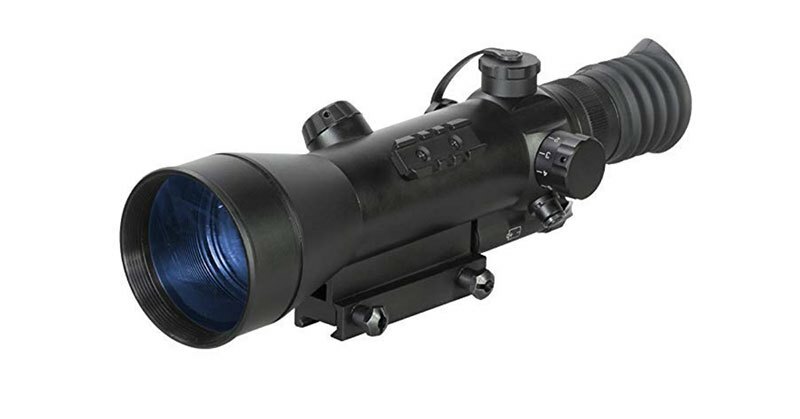 This light is enough to let you see through the scope even during daylight and easily sight it in using a clear target in broad daylight. You can repeatedly shoot at the same target and then make appropriate adjustments to the settings of the night vision scope until it is sighted in perfectly. If your night vision scope does not have a lens cap pinhole, it is simply impossible to look through it during broad daylight. If you try to create a pinhole of your own, you may end up damaging the lens of the scope, so we strongly advise against it. Your only option, in this case, would be to try and sight in the scope during nighttime. It is going to be hard but it has been done by countless hunters before you. So do not be daunted by the task. If you can’t find help from your scope’s manufacturer on how to sight it in and don’t have a scope that comes with a lens cap pinhole, you need to buck up and try your hands on sighting it in during nighttime. The key problem with sighting in a scope at night is that you need to be able to see whether you are hitting a target or not in order to adjust the scope correctly. But in the dark, it is simply impossible to see if you are hitting a target or missing it. There are many ways to resolve this problem. You can, for instance, set up a shoot and hit system so that the target remains well illuminated even in the dark and your bullets leave a visible impact on the target. Alternatively, you can also use an additional pair of binoculars to check out after each shot whether or not you have hit the target right. If you have a hunting partner, you may seek his help to stand at a safe distance from the target object and report the result of each shot. When you finally hit the target right using the scope, congratulations. You have finally sighted in the night vision scope.